COZI TV is inviting viewers to "get their Munster on" this Halloween season. The national multicast network launched the Munster Stomp, a new, original dance segment that will air on COZI TV and CoziTV.com through Halloween. The network also announced a special, two-day mini-marathon of The Munsters that kicks off Saturday, October 29 at 1 PM and continues to Sunday, October 30 (check local listings). Featuring 24 fan-favorite episodes, COZI TV's Munster-thon will offer fans a full, pre-Halloween dose of the legendary television family, The Munsters. Featuring Fred Gwynne as Herman Munster, Yvonne De Carlo as Lily Munster and Al Lewis as Grandpa Munster, The Munsters regularly airs Monday to Friday at 6 PM ET on COZI TV. The Munster-Thon also includes the first television rock opera, "Auto-Tune The Munsters." Recreating the episode "A Man for Marilyn" and using originally-composed songs, "Auto-Tune The Munsters" creates a first-of-its kind for TV, following in the tradition of The Rocky Horror Picture Show. The CW Network has ordered new seasons of the hit improvisational comedy series Whose Line Is It Anyway? as well as the hit magic series Penn & Teller: Fool Us and Masters of Illusion. The new seasons of these series will return as part of The CW's 2017 Summer schedule, with dates and times to be announced later. 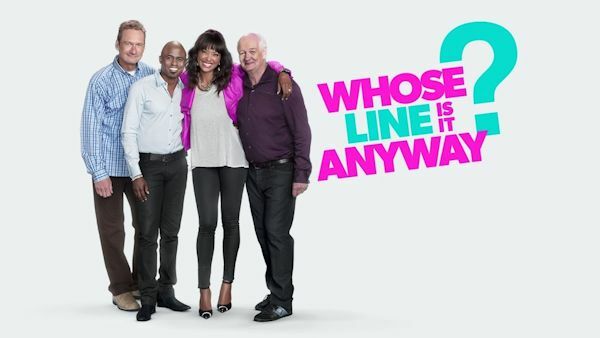 Returning for its fifth season on The CW, Whose Line Is It Anyway? features host Aisha Tyler and cast members Ryan Stiles, Wayne Brady and Colin Mochrie. Penn & Teller: Fool Us is a one-hour competition series celebrating magic and featuring the legendary duo Penn & Teller. The series is hosted by actress Alyson Hannigan. Hosted by actor Dean Cain, Masters of Illusion features amazing magic performed by cutting-edge illusionists and escape artists, and performers in each episode displaying skills ranging from perplexing interactive mind magic to hilarious comedy routines.